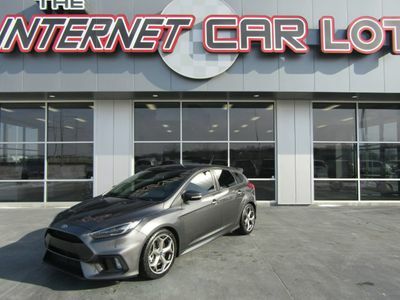 Check out this nice 2013 Ford Focus ST Hatchback! This car looks and drives great! It's loaded with great features including 6 Speed Manual Transmission, Navigation, Sony Premium Sound, Recaro Seats, Black Alloy Wheels, Steering Wheel Controls, Touchscreen, Power Windows, Locks, Mirrors, Tilt, Cruise, CD, and much more! Overall this car is very clean inside and out! Please note this car has a previously salvaged title. Please call with any questions. It's priced to sell ASAP so call 402.991.1112 now! Get Pre-Approved now on our website http://TheInternetCarLot.com or call us at 402.991.1112!